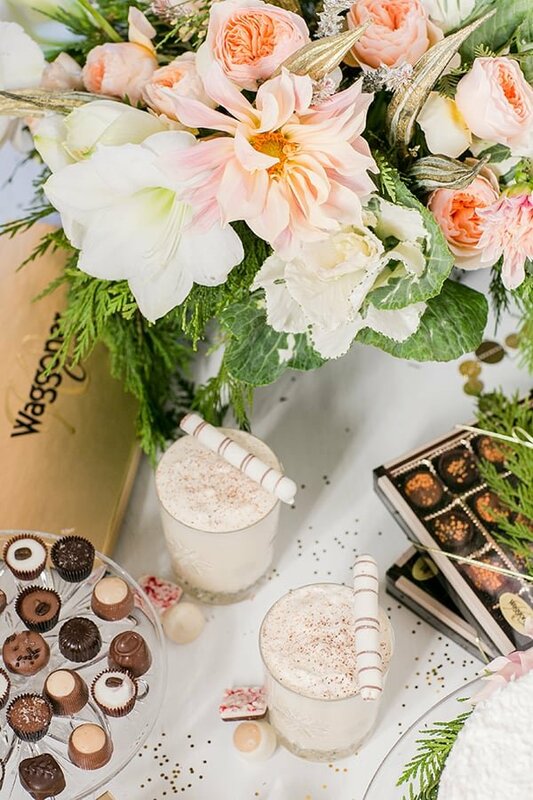 We were so excited that Evine.com asked us to collaborate with them to create a beautiful, simple and effortless holiday dessert spread!! I immediately knew I wanted to make something festive, using a snowy and neutral color scheme. I was pretty happy browsing Evine online and fell in love with their Waterford crystal collection, including the stunning snowflake crystal glasses! 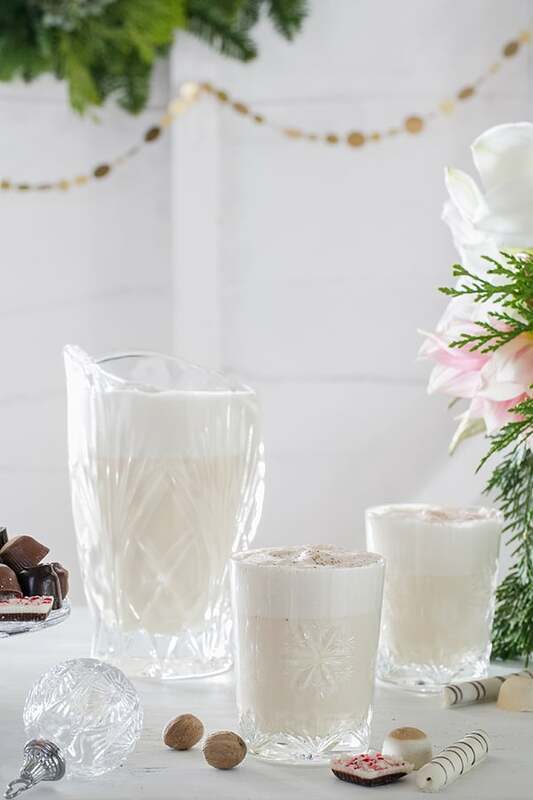 I love these glasses so much and will treasure making a delicious homemade eggnog to sip from them every year! I was ecstatic, because we’re all about easy entertaining around the holidays, and for those of you who really don’t have the time (or desire!) 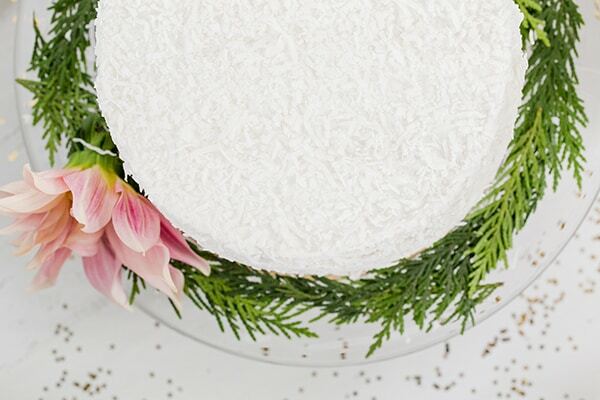 to bake a cake or desserts, Evine sells gorgeous cakes online, delivered right to your home! I ordered a three-tiered yellow cake from their Paula Deen collection with a thick layer of icing and coconut flakes. I served it on a Marquis by Waterford crystal cake plate. 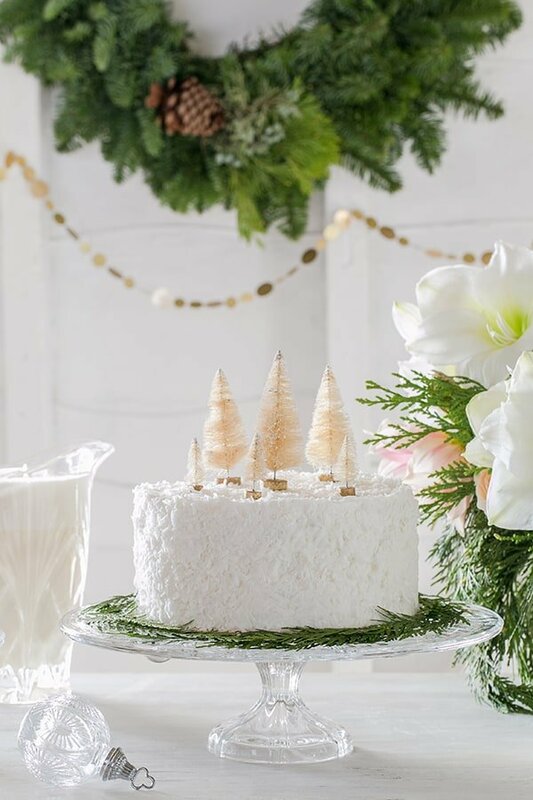 I also added some cute little bottlebrush trees to the top for easy decor and to make it festive! 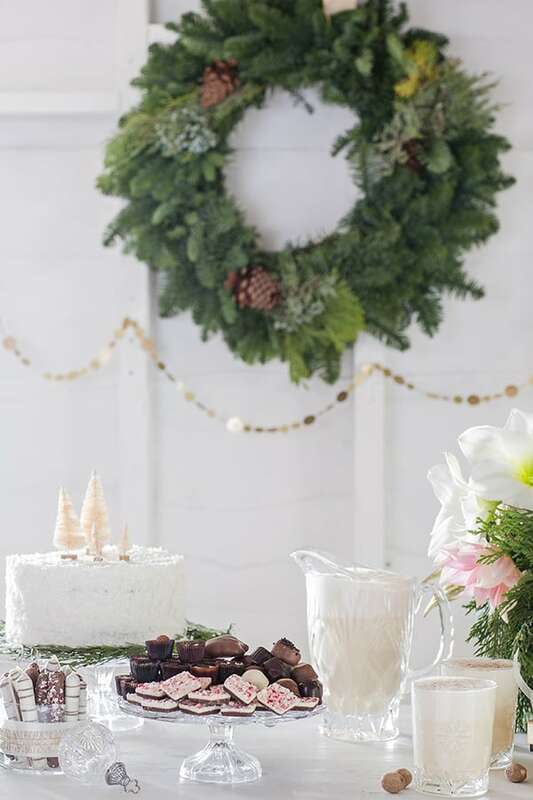 And of course, a holiday dessert table isn’t complete without chocolate! I might have gone chocolate crazy, but I wanted to have chocolate and some golden Waggoner boxes for guests to eat and take home. I placed out chocolate covered pretzel rods, milk and dark chocolate bark, which come individually wrapped, chocolate truffles and caramel dainties! There was enough delicious chocolates to satisfy everyone! For the dessert cocktail, we made an amazing, homemade butterscotch bourbon-based eggnog that’s smooth, creamy and absolutely yummy! 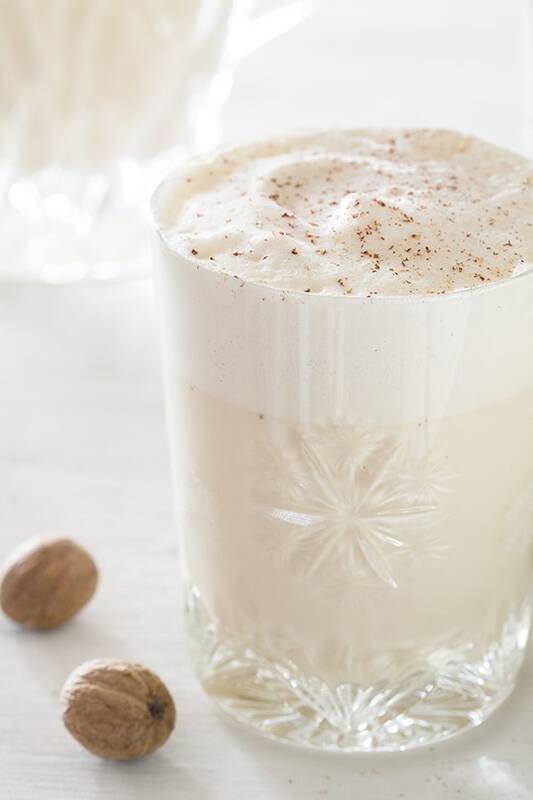 It’s really the perfect holiday drink to sip with chocolates and a slice of cake! I served the eggnog in a gorgeous crystal pitcher and my favorite Waterford Crystal Snowflake Cut Glasses. 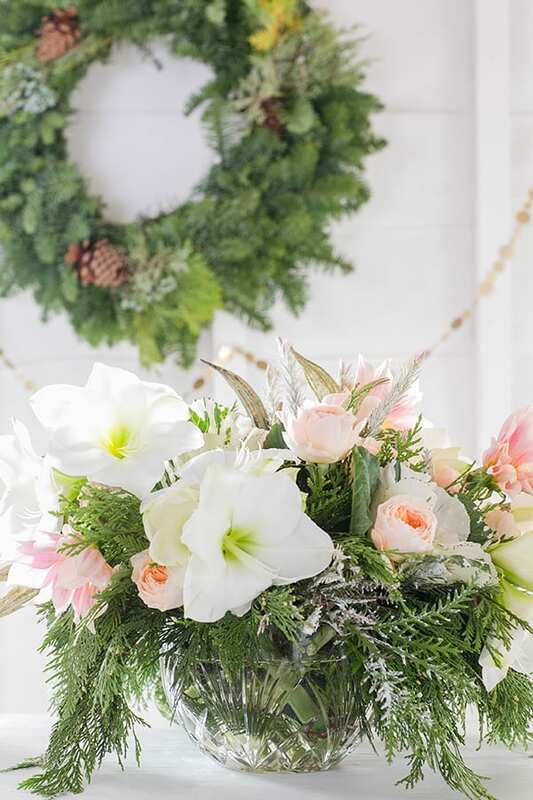 And for the decor, I used this crystal bowl for the flowers and hung a charming wreath and some gold garland. Super simple, but everything came together so beautifully! 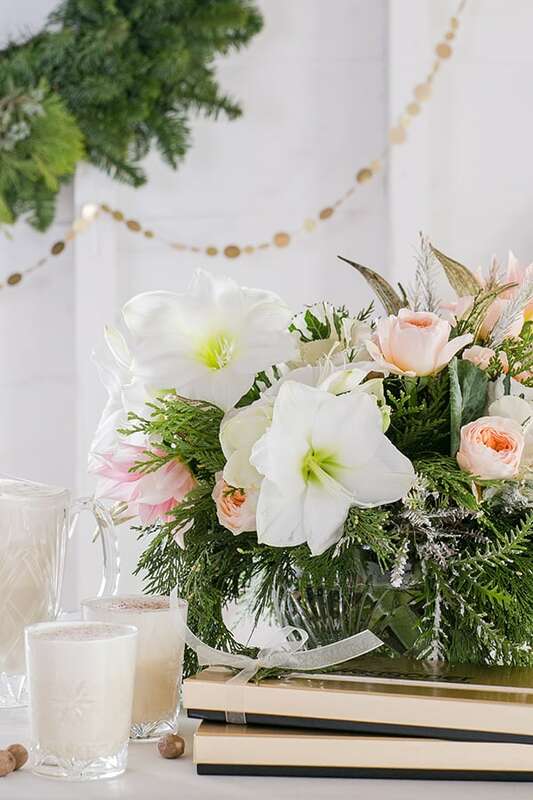 Remember, you can still make it charming and keep it easy when entertaining around the holidays! Enjoy! Here’s a list of products used from Evine! Evine provided the products I selected free of charge. The opinions expressed are my own honest opinions of my experience with the products.